London South Bank University (LSBU) – originally the Borough Polytechnic Institute – laid down roots in south London in 1892 and has been improving the lives of students, businesses and the local community ever since. 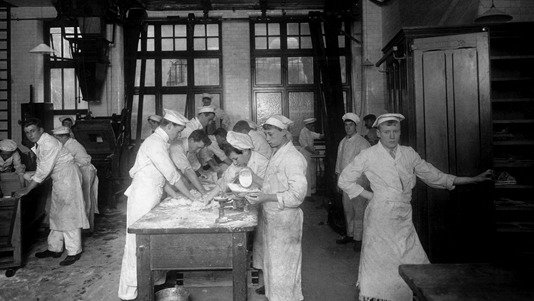 Our original aim 'to promote the industrial skill, general knowledge, health and wellbeing of young men and women' remains central to our mission today. Our practical and vocational approach ensures our students will leave equipped with the skills to meet the challenges of today's workplace. From providing a safe haven as a community centre serving hot meals during the Second World War, to attracting one-quarter of students from the local area in our annual intake today, we remain rooted in the local community and dedicated to delivering quality education to all. The University Archives Centre curates our history – preserving photographs, documents, academic material and landmarks from our foundation in 1892 to the present day. Find out more about the University Archives Centre.